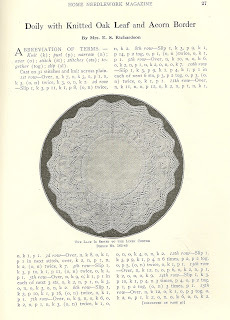 Tambour work is a type of embroidery that closely resembles the chain stitch. While its popularity had waned significantly, it is returning slowly. Originally, this type of work was done in China, India, Persia and Turkey but became quite the fad in Europe, especially in France, in the 1700’s. The French were the first to introduce a hand held frame, they called a TAMBOUR, a word meaning drum. The frame actually looked very like a modern embroidery hoop with two round (sometimes oval) hoops that tightly held a piece of ground cloth between them and could be tightened with a screw. Some hoops had stands so that both hands were free to do the embroidery. (I read in one reference that the tambour hoop was named after a tambourine, which it resembled. Actually, of course, the word tambourine is from the French tambour also. So you cannot always take every reference you read as factual.) 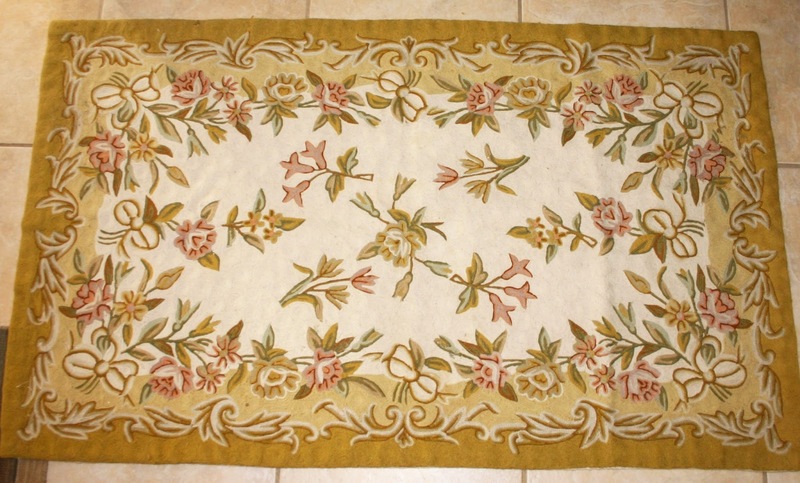 Originally, in Europe tambour embroidery was worked with white thread on a white muslin, crepe or cambic but subsequently gold and colored silk threads were used as well as heavier fibers. 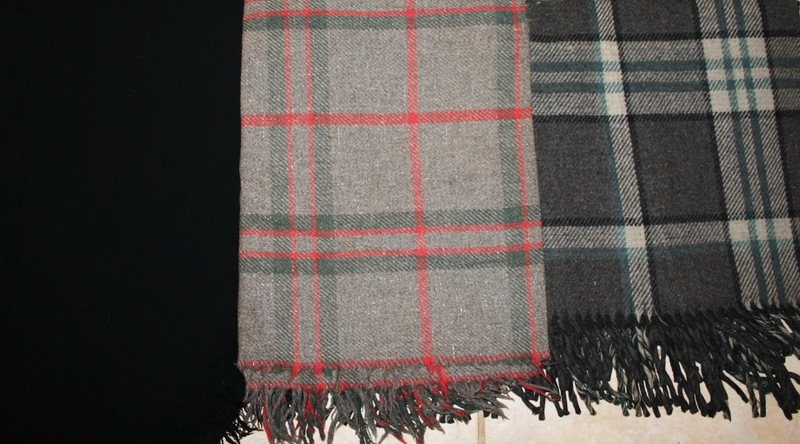 The Eastern workers had, and still use, wool from which to make rugs, pillow covers and other items. The tambour hook, or needle was a sharp hook inserted into a handle, which was often very ornate and made of ivory, bone or metal. The handle was usually hollow to allow storage of extra hooks. 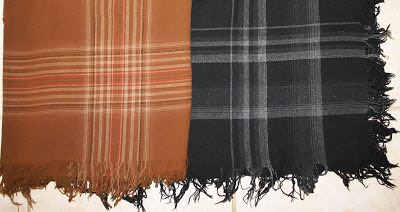 The stitch is made by holding the thread under the ground, piercing the fabric from above and picking up a loop, which is brought to the surface by the hook. 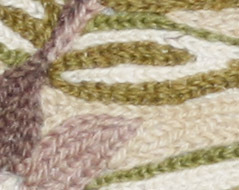 The next stitch is made through the preceding loop creating a firm chain of stitches. 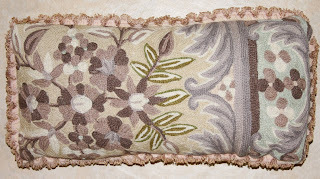 This work, by one experienced could be done quite quickly with uniform spacing between stitches. to create intricate scrolling patterns. Also these are not interlocking stitches, so if there is a broken thread there is a danger that several stitches may become undone. 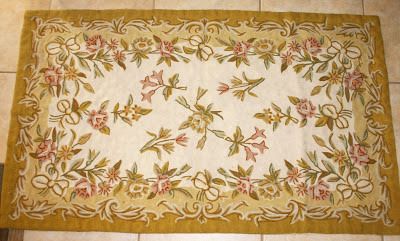 Usually very large pieces of embroidered fabric such as this large tablecloth (and set of napkins) would only be done by machine. 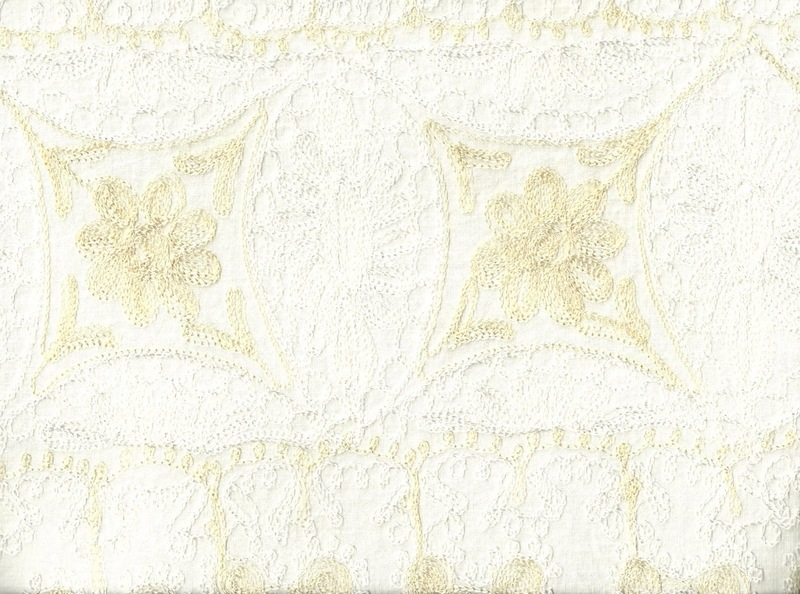 Nevertheless it is a lovely example of surface embellishment. I have always loved maps. Not the fold-ups found in gas stations (I have never met one I could actually refold after using it). I love old maps, antiques maps found in reference atlases in university libraries. 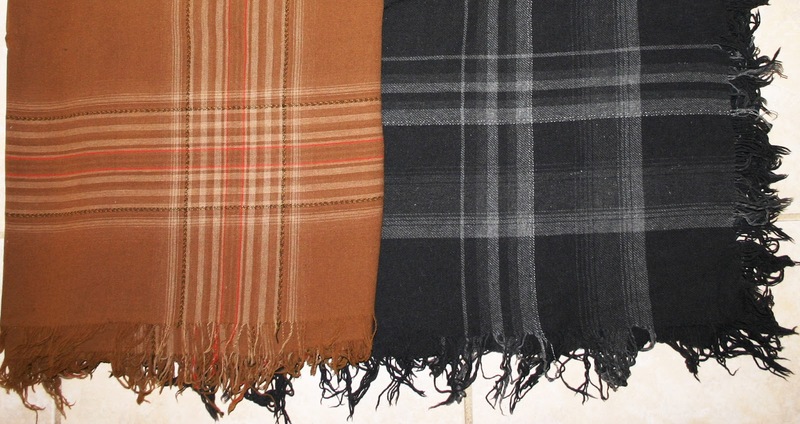 These tell stories of adventure and the perils of travel and exploration. 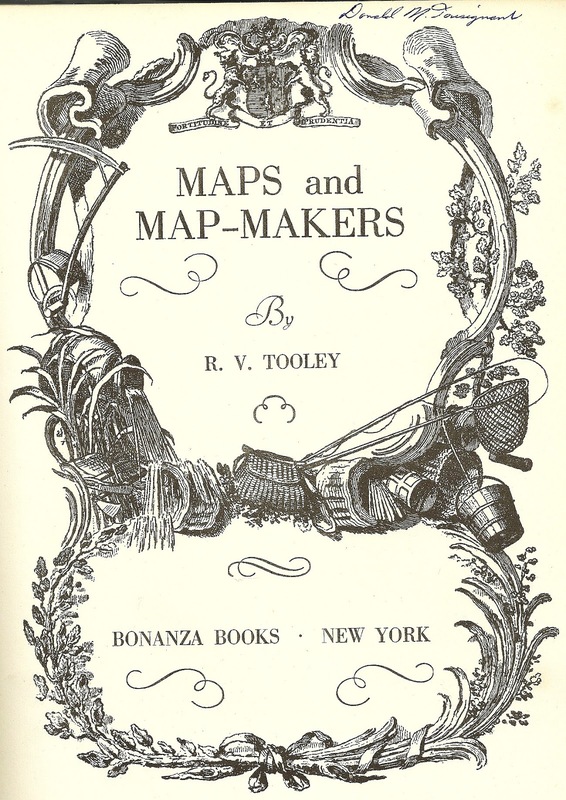 The cartographers were often more wrong than correct in their depictions of the world, but that didn’t dissuade them from publishing sought after charts and maps filled with strange names and sketches of native plants and animals ( all products of the imagination) and fantastic creatures living in the sea. 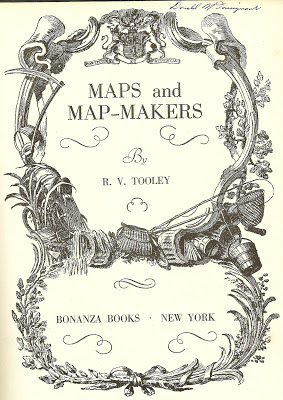 This is a great book, first published in 1949, featuring pages and pages of old map illustrations. 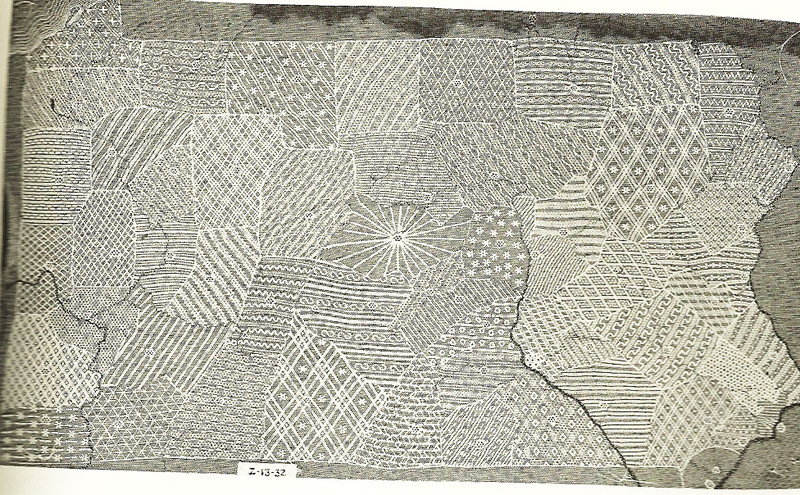 One can find needlework maps and globes which were produced from the late 1700’s onwards by schoolgirls showing their proficiency at sampler work and their lessons in geography. 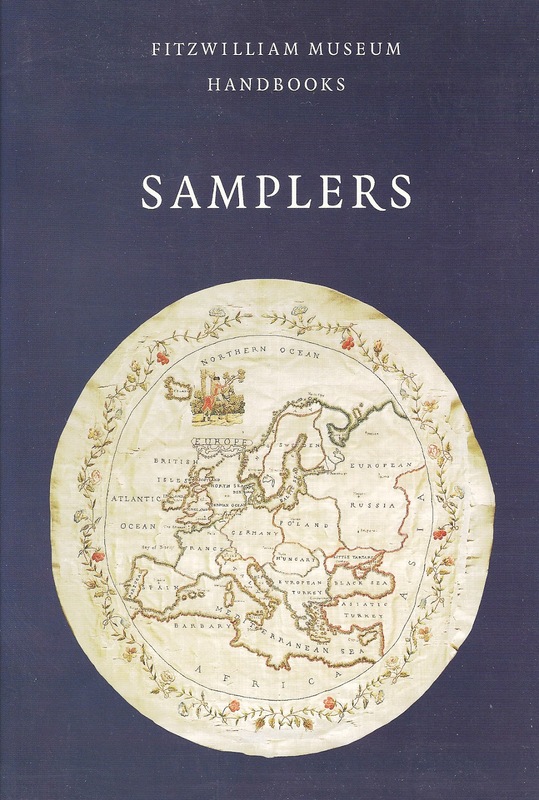 These samplers were worked both in Europe and America. 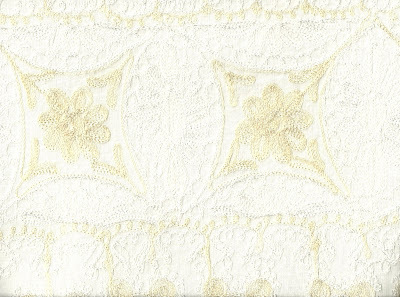 In England they were worked in linen, silk or cotton satin grounds. 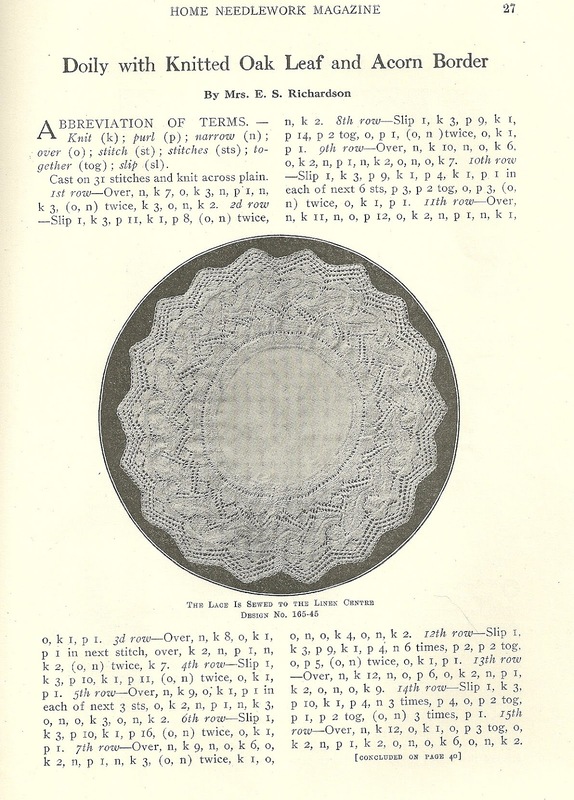 Frequently lines of latitude and longitude or compass points were included. This Fitzwilliam Museum publication, Samplers, contains several examples of map and globe samplers. 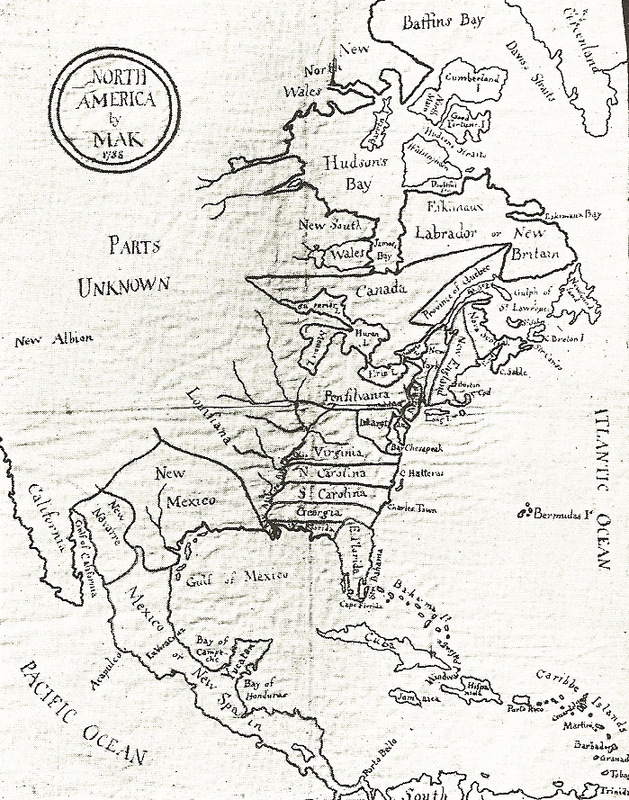 American students produced maps, not only of the world and North America, but also of their state and sometimes, even their county. 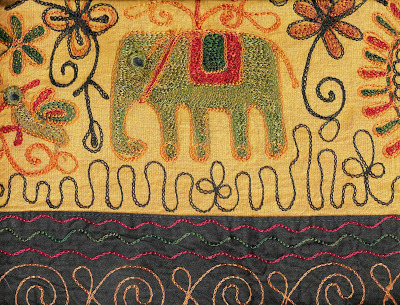 Occasionally, the students used printed silk ground and embroidered over the outlines, frequently leaving the fine details such as lettering to be traced over with ink. Often these school samplers were quite crude with latitude and longitude lines merely couched and little actual embroidery beyond the satin stitch. There are others which were rendered with elaborate stitchery, often featuring those mythical strange creatures found on paper printed maps. Some globe samplers often included special stands made for display. 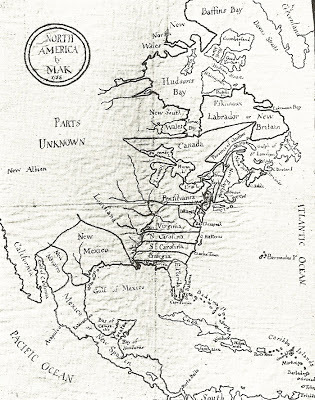 One source of these geographical schoolgirl samplers is regional historic societies, especially in New England, New York and Pennsylvania. 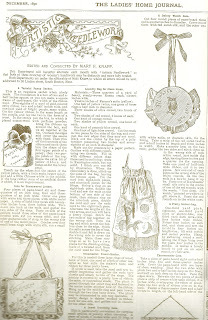 The Wall Street Journal (Thursday, January 3, 2013) featured an article in the Personal Journal column titled “Made By Hand, Learned Online” about online, interactive courses available on many subjects which can be studied at home. Online learning has been available for some years, but in-home study has been around for more than a hundred years. 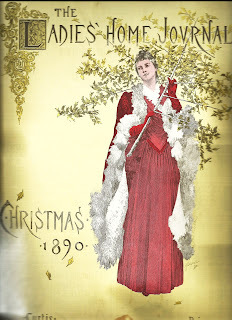 From the late 19thC. 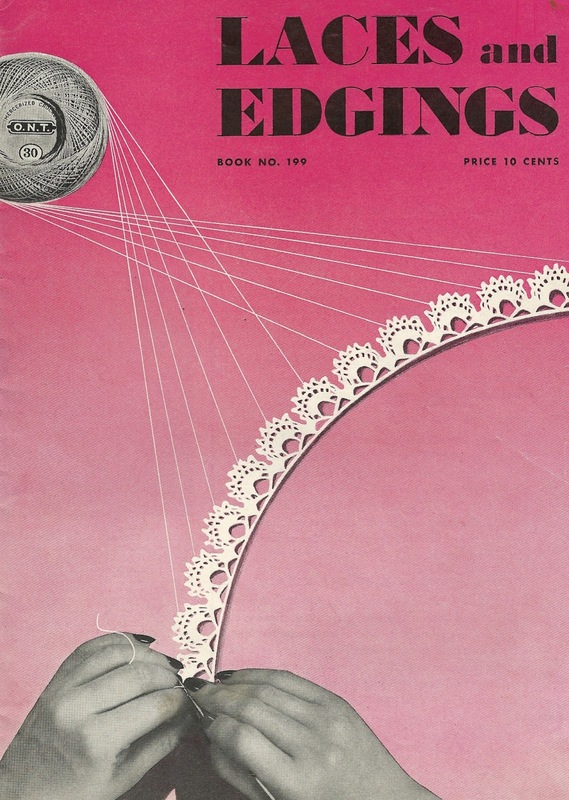 women’s magazines featured articles on homemade textiles, crochet, knitting and embroidery and lace work. 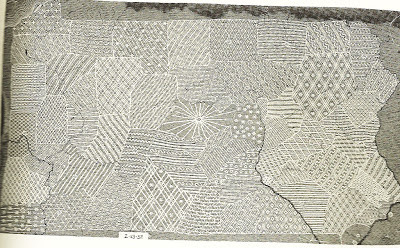 While this may have sparked interest in creative endeavors, there was virtually no instruction on technique, but rather a vague description(and illustration) of the finished product. 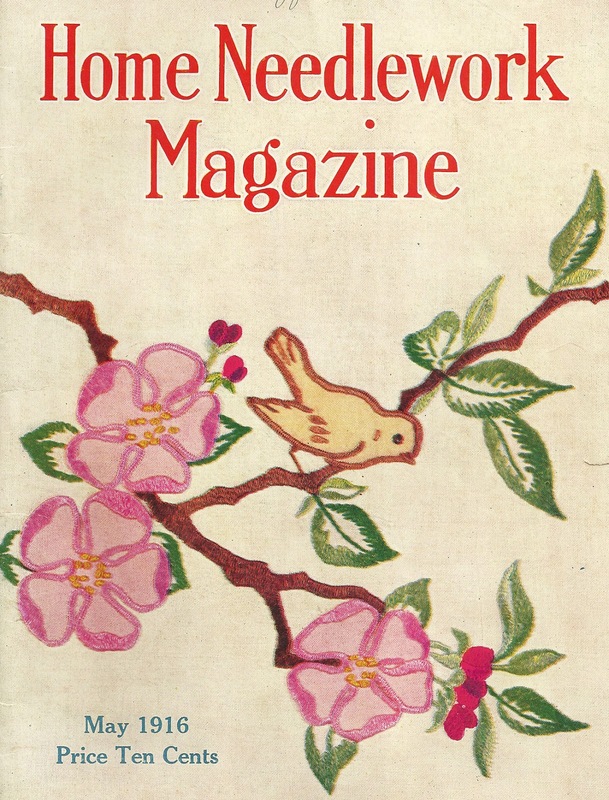 In the early 20thC entire needlework magazines were available by subscription. The finished work was illustrated in more detail but the instructions were obviously not meant for the novice, no how-to but rather “1st row: 1 t in the 7th st from hook(ch 2, skip 2 sts, t in the next stitch) repeat” See what I mean? 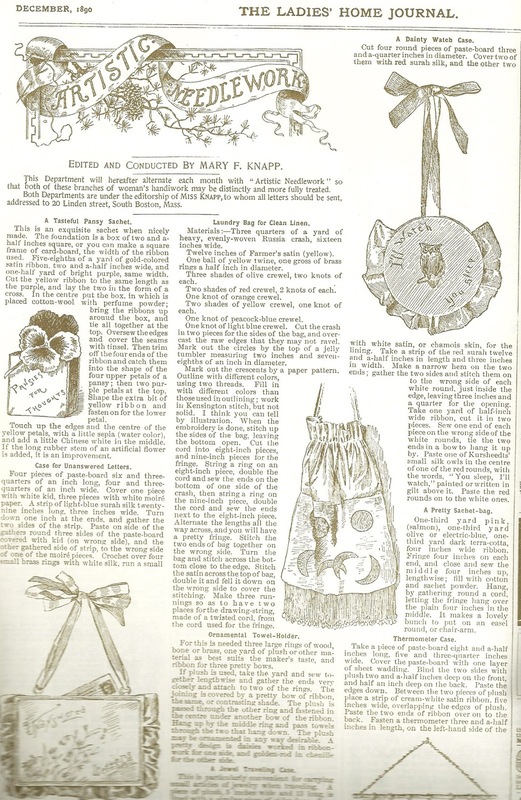 In the 1930’s RFD(Rural Free Delivery) brought mail-order catalogs offering iron-on transfers, pre-printed fabrics, and stencils. 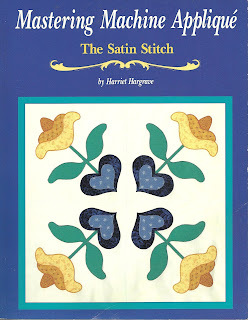 Quilt kits and patterns were also available as well as pre-printed embroidery patterns with appropriate embroidery needles and threads included. By the 1940’s instruction booklets featuring products of companies such as J&P Coats or Clark’s O.N.T. 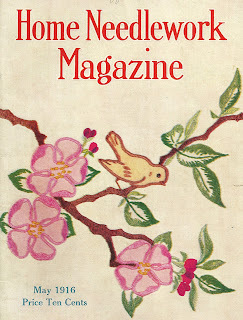 were available in stores on hundreds of needlework topics at a very reasonable price (some were 10 cents). Still, while the finished product was, once again clearly illustrated, there was little of basic instruction. Presumably, women were expected to have already mastered the technique. By the late 1900’s sophisticated instructional books on all topics offered sections of basic technique, with many color illustrations. The page-by page instructions were clear and easy to follow. Also at this time many TV series were produced on everything from culinary arts, painting and scrapbooking. Among the most popular were productions featuring quilting and embroidery. Frequently these series also produced tapes of the programs for your VCR so that you could watch, rewind, try your own techniques as many times as necessary. Then came CDs and DVDs of instruction. Now, of course computer technology and the internet have interactive instruction available on your computer, or other devices. For some time universities have offered courses, language labs are improving your grammar and pronunciation of Spanish and 64 other languages. But back to the WSJ article. 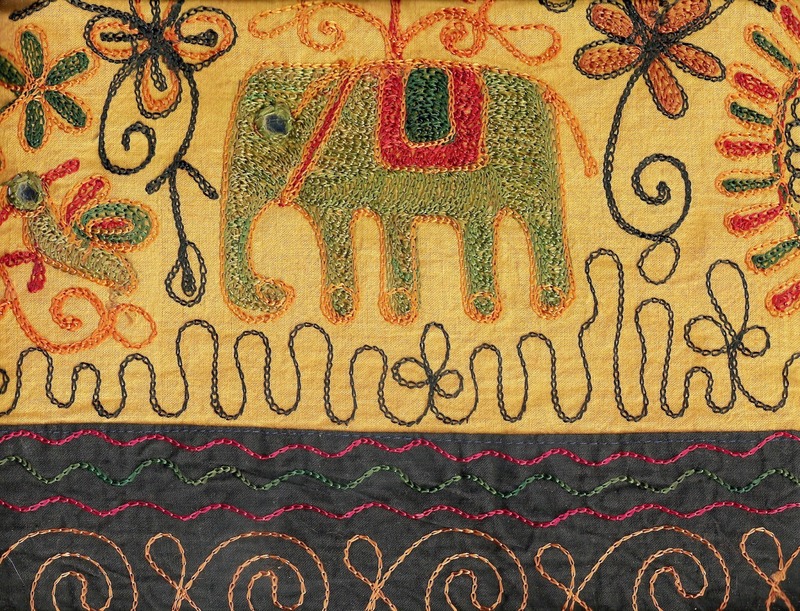 Online companies are offering courses for crafts and fine arts instruction. One such vendor offers courses composed of several lessons professionally filmed, with the capability of asking questions of the instructor. Again these lessons can be replayed for further information. If one of your New Year’s resolutions is learning a new craft, language or raising the level of a hobby you now have no excuse. It can be done right at your desk at home. A Textile History course which includes fiber identification, ethnic textiles and museum collections would be of interest to me..Hmmm.